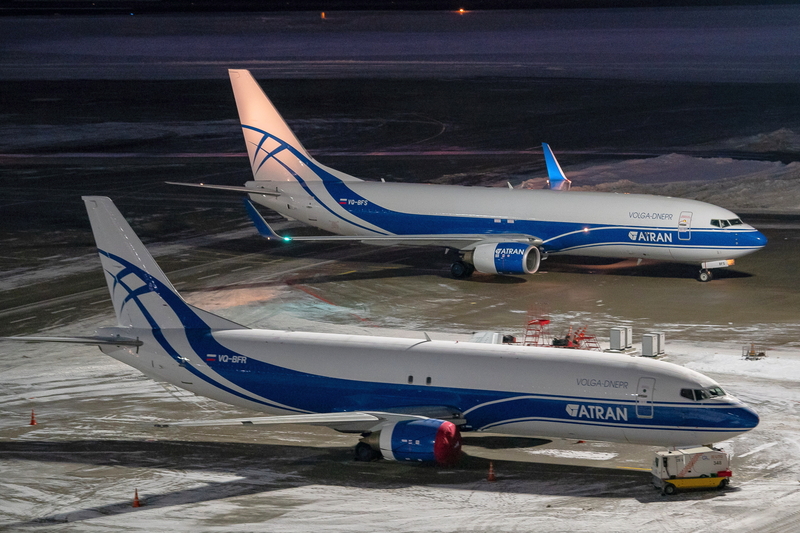 Atran Airlines, the Russian air express carrier within the Volga-Dnepr Group, has enlarged its fleet with the delivery of its first Boeing 737-800BCF, increasing its total number of freighters to five. The additional airplane will boost the carrier’s capacity and guarantee a wider choice of logistics solutions for its customers linking routes between Russia, the CIS and Europe. The freighter has already operated its first flights from Moscow (Vnukovo) to Norilsk and Yakutsk carrying much-needed essential consumer goods for the population of the Siberian and Far Eastern parts of Russia, including perishables, general cargo and e-commerce shipments. In addition to accommodating 11 standard aviation pallets (2235×3175 mm) and containers in the cargo compartment, the Boeing 737-800BCF incorporates a reconfigurable cargo handling system which can be easily adjusted for various types of ULDs. The Boeing 737-800BCF is a newcomer to Volga-Dnepr Group and complements its existing fleet of An-124-100, Il-76TD-90VD, Boeing 747F and Boeing 737-400F, therefore expanding the Group’s airfreight solutions. See latest HD Video Interviews, Podcasts and other news regarding: Atran Airlines, Volga-Dnepr, Boeing, Cargo, Freight, BCF, Russia.